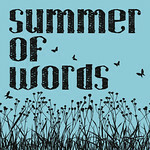 Summer of Words: By the Butterfly Tree – Part Six | Phil – Refuelled! My story continues. You can start at the beginning here. “I reckon, lovie, I reckon… You be OK?” He hadn’t told Jenny that the mother, who had probably wanted to fetch something for her children, had been killed instantly by the blast. Archie kissed his wife and grabbed his coat. A few moments later, the ting of a bicycle bell signalled his departure. “I sent Annie to get herself a bite to eat. She’d been going non-stop since three. She’ll be back any time. Can’t keep herself away from the action for long. But if anyone collapses on this ward, it’s got to be me.” With a weary grin, she made for the ward office door. Oh, help. Nursing school didn’t tell you the answers to these kind of questions. The poor kid didn’t even know about her twin baby sisters yet. When Archie tapped on the door of the office and entered in answer to the response, Sister Anderson had just finished using the tiny spirit stove in one corner to boil water for tea. She paused to rub her eyes with her fingers, then nodded towards a chair. Hell, woman, you know why the man’s here. Face it. Pull yourself together, woman. You’re a trained nurse since that last lot, for any sake. Helen quietly put a cup of tea in front of Archie and looked down. Archie sipped his tea in silence for a whole minute. He knew what the poor woman had gone through. You did your best. You forgot about yourself. And sometimes that just wasn’t enough. And it got to you. Because you wanted a happy ending every time. He didn’t need to say any more about the two poor mites he’d carried out to an ambulance crew, one in each arm, two nights before. And he knew Helen would know about the poor mother. She shook herself sharply and looked up. “What?” she murmured. The first six parts make up the first main section of my story. Part seven begins a new section; you can read it here.